If you don't know what HTML5 is or how crucial it is to the whole future of the Internet ecosystem, you need to check out our previous article featuring 15 incredible HTML5 demos showcasing prowess of HTML5 over Adobe Flash. 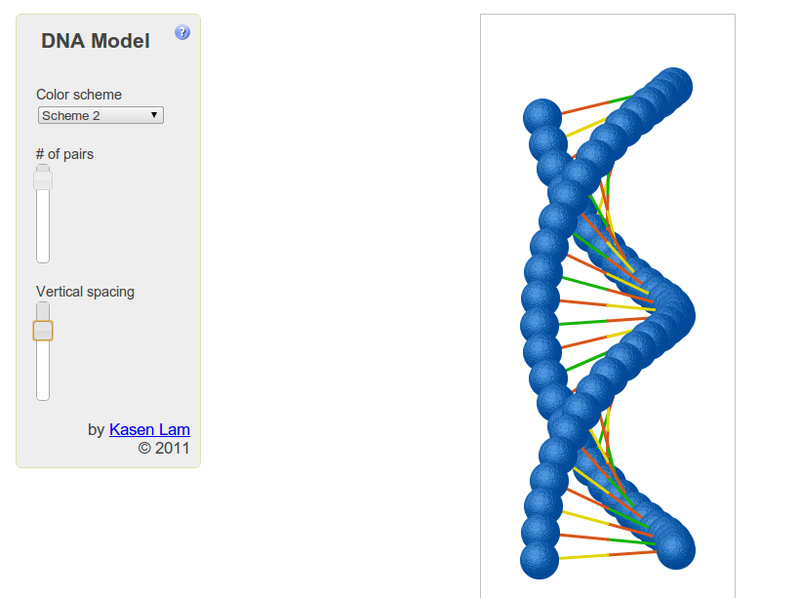 Here is another nice and interesting HTML5 experiment that generates a DNA structure on the fly. 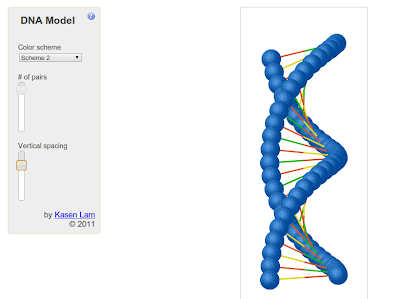 The user is able to select from up to 7 fixed color schemes or let the application generate a random sequence following the basic pairing rules for a DNA sequence (A with T & C with G). Or play with the number of pairs and the vertical spacing between each pair at any time. Thanks to our reader Kasen for letting us know about this interesting experiment. You can also send us tips and feedbacks through our Contact Us page. Meanwhile, you might want to check out this brilliant collection of mobile phone concepts that will blow you away.